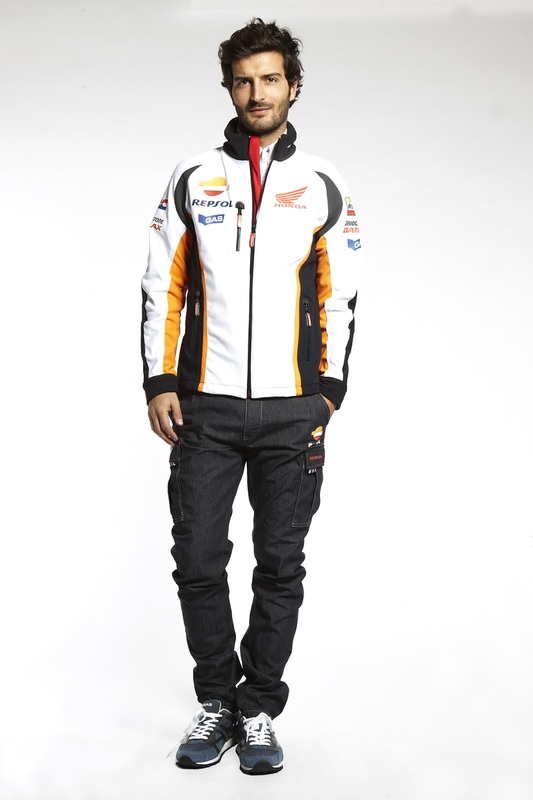 GAS renews its sponsorship of Repsol Honda Team for the 2013 and 2014 world championships, and confirms its role as fashion ambassador to the MotoGP world with a complete restyling of the team’s uniforms. Chiuppano, November 2012 – GAS, which has sponsored the Repsol Honda Team for 15 consecutive years, will be on the Honda stand at the 70th International Motorcycle Exhibition - in Milan from 15 to 18 November – to announce a two year extension of the contract that links the Vicenza-based jeanswear brand to the world’s leading motorcycle makers, and to present the new uniforms for the team and the HRC staff, Honda’s racing arm. The apparel, produced and distributed – in the replica version – exclusively by GAS, has undergone a complete restyling with valuable assistance from designer Aldo Drudi of Cattolica, who has worked with many leading names in motorcycling, and who was awarded the ADI’s Compasso d’Oro in 2001 for Valentino Rossi’s race suit. 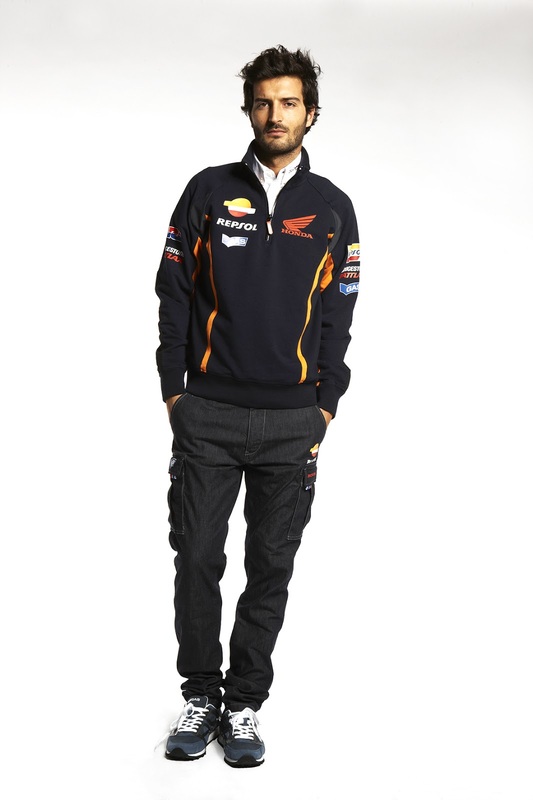 From the Romagna-born racing designer’s unbridled passion for motorcycle racing and GAS know-how in the production of high quality, casual clothing, comes the new line of apparel that Repsol Honda riders and team, as well as the HRC staff, will wear for the entire 2013 championship season. The complete line includes high performance, good looking jackets, fleeces, shorts, polo shirts and pants – a perfect blend of comfort and style. The new uniforms will be given added value not only by perfect fit and the use of hi-tech materials, but also by an even more accentuated racing flavour. Cuts and details on the garments will be strongly inspired by the racing suits, the bright colours will evoke the idea of race circuits and aggressive, appealing graphics will be suggested by the Japanese manufacturers’ corporate world and reinterpreted in a unique way by Aldo Drudi’s mastery. A new co-branded GAS Honda capsule collection with vintage appeal will be unveiled next January on the GAS stand at the 83rd Pitti Immagine Uomo in Florence. The story of the successful GAS/ motorbike racing duo goes back to 1996, when the company realised it was one of the most spectacular sports popular with young people. 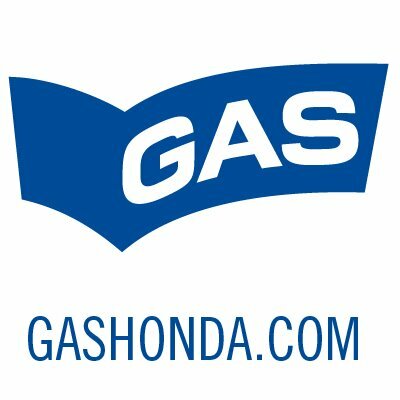 GAS is proud to have been one of Repsol Honda Team’s main sponsors since 1998, and continues to mount the podium with the best riders in the world. “GAS recognises values that are perfectly in line with those of the company in this sport” says CEO and founder, Claudio Grotto. "Passion, dynamism, ambition, drive and determination are the leitmotif that unite GAS and motorcycling. Young GAS wearers have a dream, a goal, and they fight to make it come true. Champions on the circuit and in life, like Mick Doohan, Valentino Rossi, Alex Crevillè, Max Biaggi, Alex Barros, Nicky Hayden, Andrea Dovizioso, Casey Stoner, and nowadays Dani Pedrosa and Marc Marquez, the Moto2 neo-champion who will join Repsol Honda MotoGP team from next season, are all exceptional ambassadors for GAS values and style. Honda and GAS are both manufacturers of high quality, always innovative products, and the agreement that binds us is a source of great pride and satisfaction to me and my company. It is a sign of the mutual trust and shared values that have always been our hallmark, and which find fertile ground for growth in sport.”.